Whether you’re looking to gain or lose a few pounds, it is necessary that you keep track of your journey. Arguably, a physical record of your progress can motivate you greater. Hence, having a tool such as a weight scale conveniently placed at home can help you out in this department. However, experts say that it is not advisable to frequently check one’s weight as doing so may either make or break your attitude towards your goal. 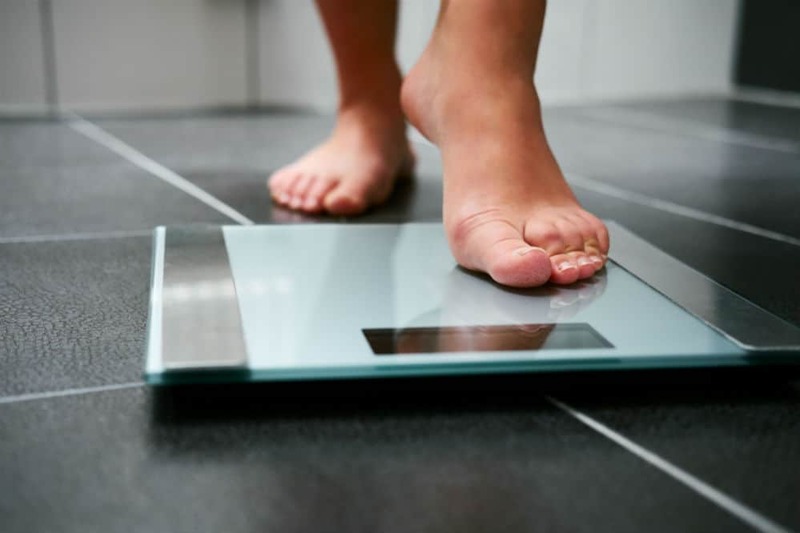 More so, even if you aren’t on a particular diet or looking for specific results in terms of gaining or losing weight, a weighing scale is one of those things that don’t seem essential to have until a need for it arises. Additionally, a weight scale can also be used to weigh other physical things or even to check on your pet’s and other members of the family’s health, too. A sudden drop in their weight may mean something, especially when they are feeling a bit under the weather for a while. If you have just realized how important having a weight scale is and are confused on what weight scale to purchase, then this article is for you! 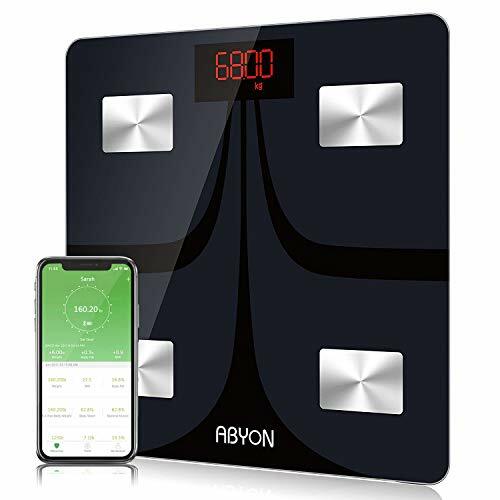 We are going to take a closer look at the ABYON Digital Weight and Body Fat Scale so that you can weigh if it is perfect for you or if not, then use this as the basis to the kind of weight scale you are looking for. Along with all the features you would want from a digital scale, including a sleek design, easy-to-read display, and a high level of accuracy in their measurement, the ABYON Digital Bathroom Smart Scale also comes with several other features that are sure to make tracking of your weight easier than ever. Not only does it boasts an incredibly accurate reading each time you weigh yourself, this digital weight and body fat scale also provides you with a body composition analysis that is highly accurate. We’re sure you know that simply losing or gaining a few pounds doesn’t automatically equate to progress. After all, it could just be lost or gained water weight! Sleek and slimline design that makes the unit look ultra-modern. You won’t have to shove this scale under a cabinet just because it clashes with your decor! Despite it being so compact, it has a weight capacity of 0.2 kg to 180 kg or 396 lbs. Just what you would expect from a smart scale, the ABYON Digital Bathroom Smart Scale allows you to connect to a free app via 4.0 Bluetooth connectivity. Even without your smartphone, this smart scale will enable you to weigh yourself and sync your data whenever convenient for you. One of the few scales that allow for a limitless number of users! Aside from body weight, it also measures body fat and water percentage, fat-free body weight, body mass index, protein, basal metabolism, skeletal muscle, body age, and muscle and bone mass. These give you a better idea of your overall fitness and health. Four highly sensitive electrodes underneath the sturdy tempered glass platform, which provide increment measurements of 0.05 kg or 0.2 lb. The free app that allows for an infinite number of users to create profiles helps you and your family to keep track of your progress and motivate each other. Feeling like the biggest loser challenge coming up? It is incredibly easy to use, no need to do anything special. Syncing the scale to your smartphone is also easy peasy. This smart scale provides not one but 11 bodily factors that are vital to your weight loss or weight gain journey. You must download and use the app to measure the other eleven factors the scale boasts of. The ABYON Digital Bathroom Smart Scale is a digital scale that’s sleek and modern in design and provides you with accurate weight readings on a clear, bright LCD screen. Even without using the app, it already is a great example of a digital scale. However, syncing it to the free app allows you to track your progress in real time as well as provide you a better idea of your overall health as it gives you other bodily measurements aside from your weight. What the ABYON Digital Bathroom Smart Scale has over other digital scales on the market is right there in its name: it’s a smart scale. But, even without its smartphone features, it is a great digital scale. It is, however, similar to many technologically advanced weight scales such as the AmprunDigital Body Weight Scale with its high accuracy readings and anti-skid design, only it has all that and more. A much closer match in terms of features would be the ZOETOUCH Smart Digital Bathroom Weight Scale. Like the ABYON Digital Bathroom Smart Scale, the ZOETOUCH smart scale also allows you to track your progress through fitness apps by syncing the unit to your phone. The ZOETOUCH smart scale also provides you with measurements beyond your body weight. Like the ABYON smart scale, it measures your body mass index, body water, body fat, bone mass, visceral fat, and others. The ABYON smart scale, however, goes beyond the eight bodily measurements provided by the ZOETOUCH because it gives you eleven. The ABYON Digital Bathroom Smart Scale has got more than enough features that anyone who aims to measure his or her weight at home would need and provides you with a practical and convenient way to track all these through your smartphone. Therefore, if you’re looking for a smart scale that can provide you with more than enough bodily measurements outside of your weight so that you can better track your progress to your ideal body, then the ABYON Digital Bathroom Smart Scale is perfect for you.